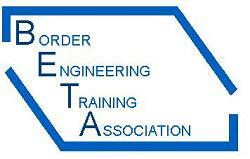 Border Engineering Training Association (B.E.T.A.) is an employer lead organisation, which was established in 1967 by ten local engineering companies interested in providing a training service for the Borders region. The initial area of involvement was that of skills training for craft and technician apprenticeships and the development of operator training in the fast growing electronic and printed circuit board manufacturing sector. The association as a Science, Engineering Marine Training Authority (SEMTA) approved assessment centre and modern apprenticeship training provider delivers a range of training services to some 20 companies operating in the Electrical Electronic, Mechanical Engineering and the Paper, Plastics and Textiles industries. Through close relationships between B.E.T.A. and its member organisations�the training needs of learners are identified from the information supplied by them, which specifies the occupational catagory of employment.� Employer organisations are consulted as to what they require from B.E.T.A. and if B.E.T.A. is meeting their needs on a regular basis.� This close relationship is developed through regular meetings to ensure all the training needs are met. B.E.T.A. offers not only Modern Apprenticeships and VQs in Manufacturing, Electrical, Maintenance and Instrumentation, but also provides bespoke short courses, which meets the needs of the organisations B.E.T.A. serves.� These courses range from half day courses to a series of half day courses building up�to form an extend course of study so as not to intrude on the output targets�of the organisations B.E.T.A. is delivering the course too. Additionally, short courses can be held at the Association's premises or at individual company premises to meet identified needs. The content and style of delivery shall be subject to individually negotiable contracts. 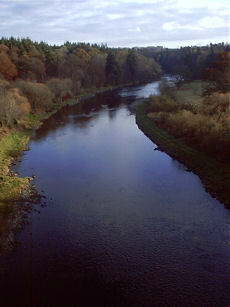 The Association�s quality management system has been operational since 1993 and has met the requirements of the Scottish Management Quality System since 1995 and was subject to a full external audit resulting in re-approval on 30th�November 2005 and has just gone through another SQMS self evelauation process for 2008/09. The Association�s financial affairs are externally audited by Armstrong Watson & Company, Chartered Accountants, Carlisle, and the audited financial report is subject to approval at the Annual General Meeting each year.